Op 5 december 2009 opende burgemeester Matteo Renzi van Florence, de 7e Biennale Internazionale Dell’Arte Contemporanea in Fortezza Da Basso. 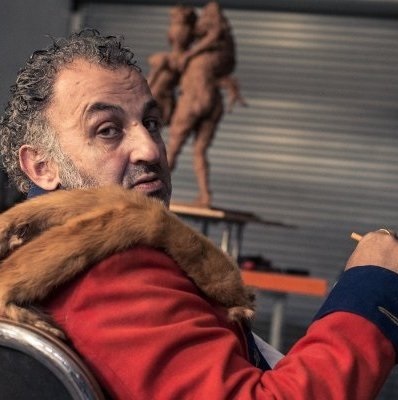 Met drie recente werken was Reinder Ourensma aanwezig op dit internationale evenement voor hedendaagse kunst. Een 12 koppige internationale jury heeft op de afsluitende prijsuitreiking de schilderijen van Reinder bekroond met de 1e prijs Schilderen. 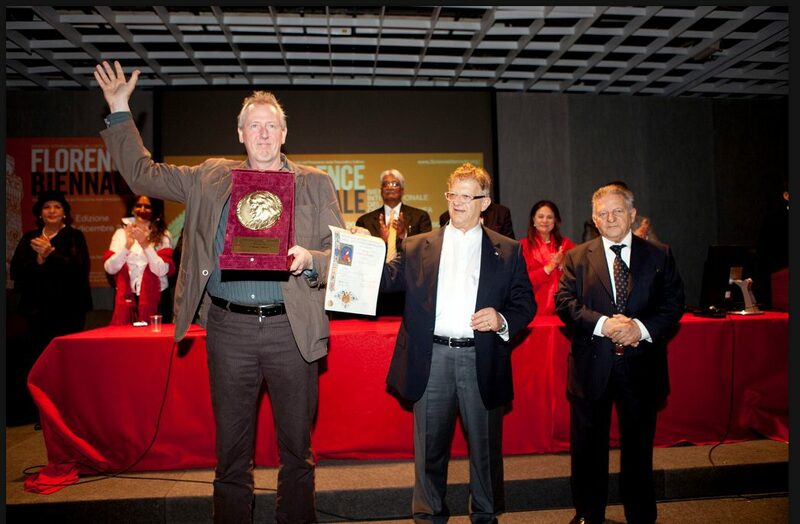 Uit handen van Pasquale Celona, president van de Biënnale, ontving Reinder de 1e prijs Schilderen – Lorenzo Il Magnifico – Award. Florence Biennale is organized under the High Patronage of the President of the Italian Republic with the official endorsement of the Ministry of Culture, the Region of Tuscany, the Province and City of Florence. Numerous recognitions have also come from the Embassies of the countries of origin of the Artists. 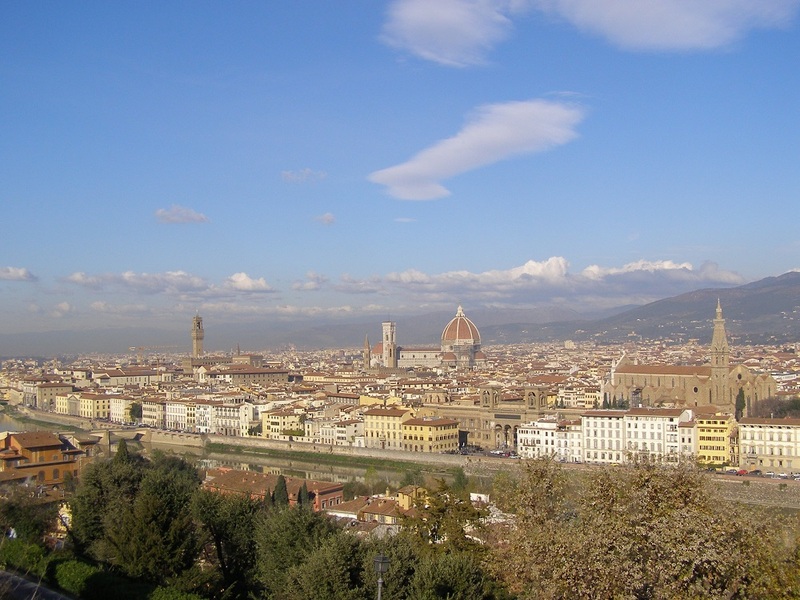 The award is named after the ruler of Florence. Patron of the arts of the Renaissance, Lorenzo dei Medici, called “the Magnificent”. Lorenzo was among the most active protagonists in the Italian Renaissance magnificence. He surrounded himself with artists and intellectuals of the time and promoted the development of the arts in his beloved city of Florence. 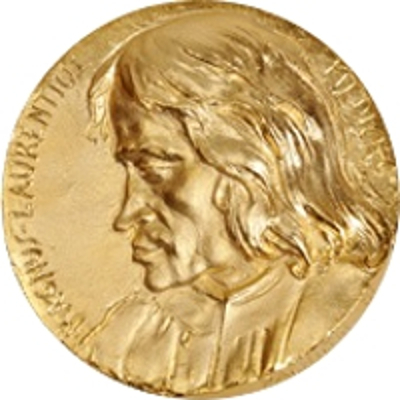 The medal that represents Lorenzo “Il Magnifico” is a work by sculptor Mario Pachioli. The 7th edition of the Florence Biennale Internazionale d’Arte Contemporanea has ended with an unexpected success for the humble though great painter Reinder Ourensma from Leeuwarden, The Netherlands. Last day of the Biennale was the most exciting for both the exhibiting artists and visitors. 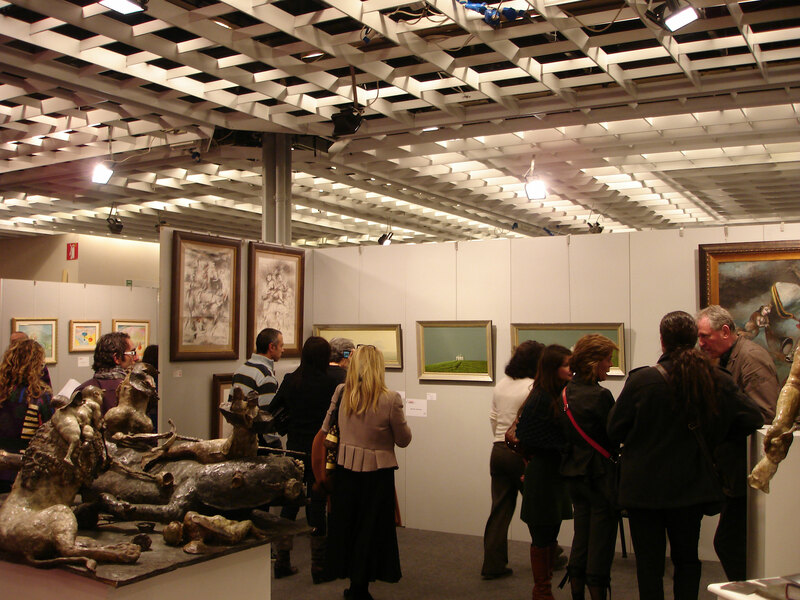 The Auditorium of Fortezza da Basso was full of art lovers and they all were waiting for the announcement of the winners. 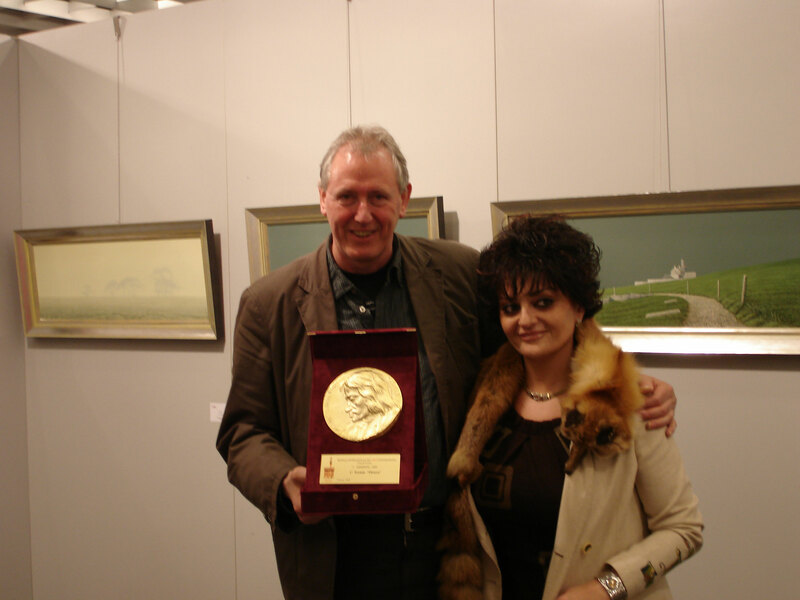 More than 700 participating artists from 80 countries presented over 2500 artworks and Reinder Ourensma won the First Premio Lorenzo il Magnifico (Medici) Gold Medal Award in Painting Category. Our artworks were right next to each other sharing the main entrance of the Biennale hallway. We were neighbors for ten days while exhibiting our works from 8am to 8pm. We exchanged thoughts about our own cultures, literature and shared the endless love for arts. 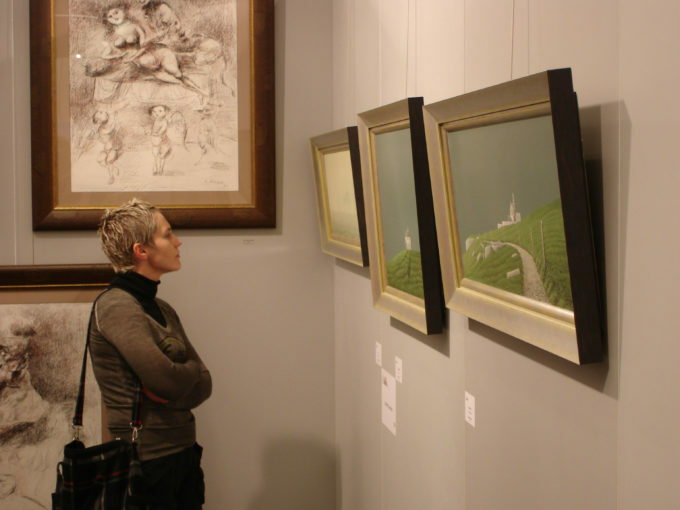 I would escape from the chaos of the stressed day and find a shelter in front of Reinder’s paintings. I would spend a long time staring at his exquisite fine brush details – strokes of patience. And analyze the subject matter with him while forgetting about the pollution of our modern life. He was always very calm, precisely like his own paintings. Which would force the viewer to set down the burdens, wait for the souls to catch up and retreat into the atmosphere of peace and tranquility. Reinder’s love for his motherland was tremendous. It was noticeable that the Irish landscapes do inspire, fascinate and intrigue him. His visual representation and perception points to an artistic inquiry transcending national borders. Visibly, the question of national identity plays a significant role in his art. The theme of landscape and nature. A traditional subject of Irish art and long bound up with the formulation of a national identity. It is treated in a variety of contexts. While the poetic and romantic paintings point to an emotional relationship with land and landscape, his tiny compositions look at aspects such as the vast changing image of Irish agriculture in the era of globalization and rural exodus. Ourensma’s clearheaded, noiseless and detailed paintings are the product of a complex interplay of influences and sources of inspiration. His work is rich with concealed and mysterious spirituality, embodied in the earth and sky. This revives an atmosphere that we had almost lost in both physical reality and our imagination. The aesthetic and technical qualities of his paintings help the viewer gain inspiration from his landscape. A landscape whose haunting beauty cannot but lead to an enlargement of the human heart, soul and mind. The observer finds freedom and enrichment in the natural beauty of Reinder’s landscapes. It immerses in rural Irish life and culture.